Razan, who was wearing a clearly-marked medic vest, was at least 100 meters away from the eastern border fence when she was shot while providing aid to wounded Palestinians and attempting to evacuate them to the field clinic. Prior to her injury, Razan, managed to render aid to many wounded Palestinians, including an elderly man who suffered the effects of teargas inhalation. Razan was killed when an Israeli sniper shot her in the back, and the bullet went through her heart. Dr. Rasha Abdul-Rahman Qdeih said she was with Razan when they were trying to help wounded Palestinians, but five army jeeps came close to the fence, before two soldiers left one of the vehicles and pointed their sniper scopes at them. “But then, the soldiers fired several exploding rounds at us; one of them struck Razan and killed her, and another bullet struck a medic, identified as Rami Abu Jazar, in his thigh, in addition to shrapnel in his left thigh, arm and leg, while another medic, Mahmoud Abdul-‘Aati, was injured by shrapnel,” Dr. Rasha added. 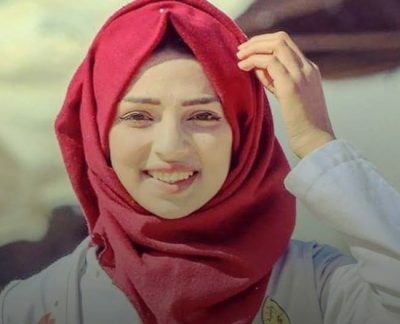 It is worth mentioning that Razan is the second medic to be killed by Israeli army fire since March 30th, after the soldiers killed Mousa Jaber Abu Hassanein, 36, who was shot on May 14th, while wearing a clearly marked medic vest. The soldiers also injured 223 medics, including 29 who were shot with live fire or after being directly targeted with high-velocity gas bombs. 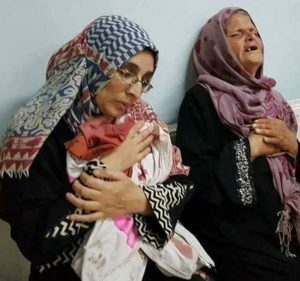 Razan’s death brings the number of Palestinians, killed by Israeli army fire since the beginning of the “Great Return Match, on March 30th, to 119, while more than 13400 have been injured, including 330 who suffered life-threatening wounds.